Bagging is our business, so we always have bags in stock. Choose from dozens of sizes, usually available for shipment within hours of your order! Advanced Poly BagsTM (pre-opened bags on rolls) for emergency production shortages. Our stock bag sizes range from 2"x 3" to 10"x 12" and from 1.5-mil to 4-mil thickness. 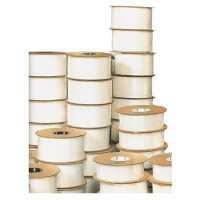 Our high-quality pre-opened bags on rolls allow for maximum production on automatic or semiautomatic equipment. Whether large quantities or just a few rolls at a time APPI offers dozens of stock bags ready for shipment within hours of receiving you emergency order. See our overstock bag listing for an extensive list of savings! Note: If you are currently buying from our competitors, you should send APP samples because some of our competitors do not advertise their actual gauge/mil thickness! APP film thickness is as advertised within the industry tolerance of +/- 10%.